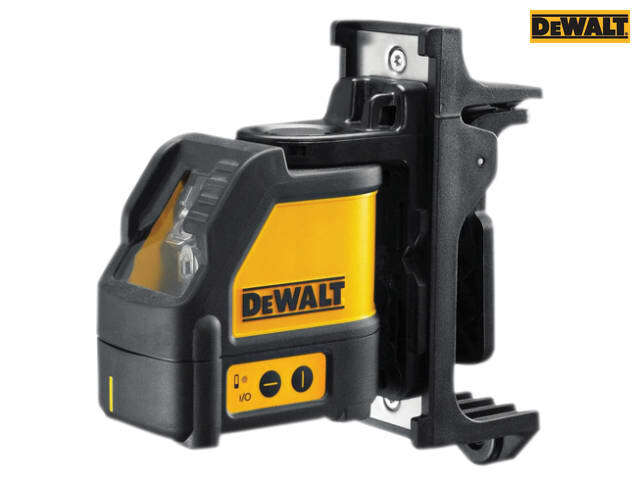 The DEWALT DW088K 2 Way Self-Levelling Line Laser is accurate to ±0.3mm/m in levelling applications. Self-levelling up to 4° surface angle with automatic out of level indication. It uses a simple 2 button operation with a low battery indication for ease of use. The built-in magnetic pivot bracket mounts easily on metal surfaces, whilst the over moulded housing and thick glass protects the tool and helps maintain calibration under jobsite conditions. The included kit box helps to protect the unit and helps maintain calibration when stored in gang box. 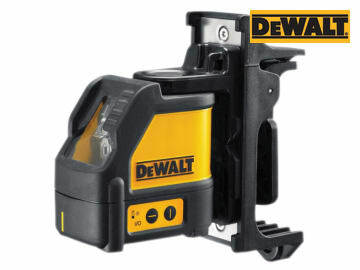 Supplied with: 1 x Wall Mount Bracket, 1 x Heavy-Duty Carry Case and 3 x AA Batteries. 1 x DE0892 Line Laser Detector, very easy to use and offers a 50m working range. With selectable narrow and wide accuracy settings and a backlit LCD display. Magnets to allow detector to be mounted on the metal tracks and there is a heavy-duty clamp for mounting on a grade rod. The detector will automatically shut off if it is inactive for 5 mins, prolonging battery life. Laser Class: 2, Level Accuracy: ±0.3mm/m. Power: 3 x AA Batteries (Supplied). Size: 61 x 112 x 113mm.